A new TRAFFIC study reveals a flourishing trade in reptiles on Facebook in the Philippines with rapidly growing membership in groups offering everything from Critically Endangered crocodiles to rare tortoises. In just three months, researchers recorded 2,245 unique live reptile advertisements representing 115 taxa and a minimum of 5,082 individual animals posted in 90 Facebook groups. The cumulative membership in the groups at the beginning of the survey in June 2016 stood at 359,328, but quickly increased by 11% by the end of August that year. “In only selected groups and in under a hundred days, we found thousands of individual reptiles in trade. This magnitude of commerce in live wild animals online is just mind boggling,” said Serene Chng, Programme Officer for TRAFFIC in Southeast Asia. Over half the species documented in the study are protected by the Convention on International Trade in Endangered Species of Wild Fauna and Flora (CITES), and all species are protected under the Philippine Wildlife Act. Based on current Philippine wildlife law and regulations, researchers found that at least 80% of documented online traders in this study could be deemed involved, knowingly or otherwise, in illegal trading activities. Native species, including the endemic and Critically Endangered Philippine Crocodile Crocodylus mindorensis and Philippine Forest Turtle Siebenrockiella leytensis, were offered for sale. Department of Environment and Natural Resources’ Biodiversity Management Bureau (BMB) reported that it has never issued permits to collect reptiles for commercial use, making the trade in these animals illegal. 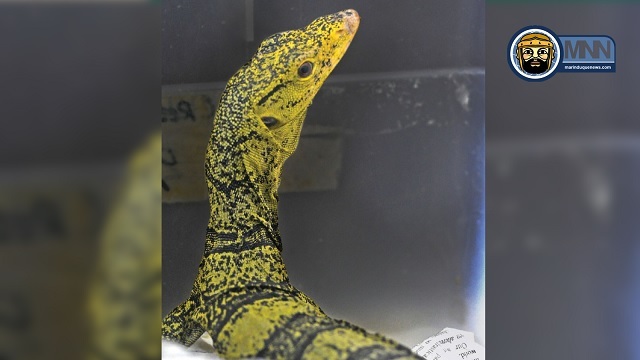 The study found several CITES Appendix I-listed non-native species offered for sale including Radiated Tortoise Astrochelys radiata, Bengal Monitor Lizard Varanus bengalensis, Black Spotted Turtle Geochlemys hamiltonii and Dumeril’s Boa Acrantophis dumerili. According to both the CITES trade database and BMB records, there were no records of legal imports for these species. A further eight CITES Appendix II species seen for sale online had no importation records since 1981, meaning they were very likely acquired and being traded illegally. The availability of internationally protected endangered species on Facebook groups in the Philippines illustrates the challenges of enforcing international agreements and national law. Facebook is the platform of choice for illegal traders in the Philippines because of its popularity and insufficient internal monitoring enforcement. The study highlighted how buyers and sellers used internet-based services to ensure privacy and connectivity. Most deals were closed via Facebook messenger, away from any prying eyes, making it difficult for effective monitoring of illicit online activity. At least one case a trader was documented using a ride-sharing service to deliver wildlife to a buyer. The study recommends enhanced monitoring, enforcement, collaboration, and advocacy to mitigate the burgeoning illegal reptile trade in the country. It also recommends that Facebook continue working with TRAFFIC to develop training materials around endangered species content. In 2017, based in part on findings from this study, the BMB in collaboration with national authorities including the National Bureau of Investigation (NBI) conducted numerous arrests of suspected illegal traders in Metro Manila, Bulacan, Pangasinan, and Cebu. In addition, packages with illegal wildlife destined for China, Sweden, and the US were intercepted by Philippine Customs. TRAFFIC, the wildlife trade monitoring network, works to ensure that trade in wild plants and animals is not a threat to the conservation of nature. TRAFFIC is a strategic alliance of IUCN and WWF. For more information visit their website at www.traffic.org.